Dilek Sağlam, a teacher and mother of a 10-month-old baby, has been under arrest since June 12 because her husband could not be found by the police, TR724 reported on Tuesday. 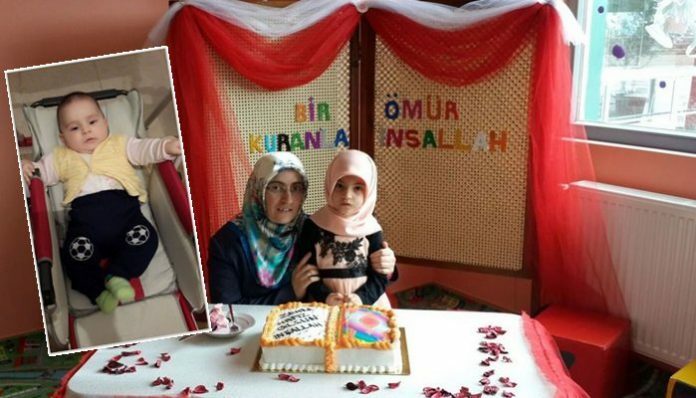 Sağlam has a 5-year-old daughter who is unable to continue her treatment for shortness of breath due to her mother’s arrest. Sağlam’s father was told that his daughter would be released only if his son-in-law surrenders to the police. A military coup attempt on July 15 killed over 240 people. Immediately after the putsch, the Justice and Development Party (AKP) government along with Turkey’s President Recep Tayyip Erdoğan pinned the blame on Turkey’s Gülen group.